The ultimate guide to Saalbach ski holidays in 2019 & 2020. The hills are a hive of activity in Saalbach - the liveliest base in the glorious Glemmtal valley, it often plays host to festivals and World Cup events. The SkiCircus puts 270km of groomers at your twin tips, with high speed lifts linking pistes and powder for all sorts of skier and boarder. Found in the state of Salzburg, the village of Saalbach (officially titled Saalbach-Hinterglemm) is Austria’s second most popular tourist destination for good reason. It’s connected with the adjoining village of Hinterglemm and nearby Leogang to make the expansive ‘Ski Circus’ area, the largest mountain circuit in the country. The resort has a rich history of skiing dating back to as early as 1898, and more recently it played host to the 1991 Alpine Ski World Championships. Built around a charming onion domed church steeple, the village has been developed with particular consideration so that an authentic Austrian ambience isn’t lost with the addition of super modern facilities. It’s a relatively small yet bustling village with a lively atmosphere and no traffic either. 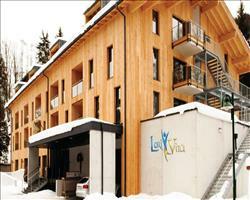 Since it’s fairly compact, everything you want (including the ski lifts) is never more than a short amble away. Accommodation largely consists of chalet style hotels, and there’s a wealth of superb restaurants and bars to choose from. 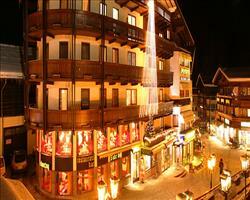 The resort is renowned for its fantastic après ski and the locals are always up for a party. The resort caters well for those too young to ski with a fully certified kindergarten available to look after children. Those that prefer to steer clear of the slopes can find plenty of outdoor activities to embark upon as well. A ski pass will gain you to access to 200km and a myriad of routes, which makes every day of skiing Saalbach-Hinterglemm sure to be different. Over £230 million has been invested into the resort in the recent years to provide skiers with more than55 modern ski lifts and cable cars across the valley. This means comfortable rides up the mountains at efficient speeds – and little chance of queuing. A regular ski bus service is included in the pass to get you back to the village from wherever you end up on the slopes. View our detailed Saalbach snow forecast or snow report and see all live webcams, piste maps, road and travel maps and lift pass prices. For a picture of historic snow conditions see the snow depths month by month with our Saalbach snow history. If it’s your first time, there are two beginner slopes just above the main street and a choice of excellent ski and snowboard schools. If you’re ready to head up the mountain there are novice-friendly blue slopes like the run all the way down from the summit of the Bernkogel. There’s an array of scenic circuits and long pine-lined runs around the Ski Circus which are excellent for those looking to develop their abilities, making this an absolute dream for intermediates. Steeper blues and challenging red runs across the entire area are perfect for improving your carving skills or simply cruising at your own pace. Take a trip over to Leogang for an excellent range of slopes and long valley runs. Advanced skiers can take on some steeper black slopes, most notably the 3km long world cup run down from the Zwölferkogel. Ungroomed tracks and bumpy moguls are waiting to test your skills. Off-piste opportunities are good, particularly for those looking to try for the first time. There are 15km worth of designated ski trails across five routes – invest in a guide to show you some well-kept secrets. This is a great destination for snowboarders: the slopes are heavily covered by modern chairlifts, so boarders can expect to cover a lot of terrain without encountering flats or dreaded drag lifts. Which means SNO worries! Those looking to try their freestyling are spoiled for choice by three excellent snowparks. A new park is specifically designed for introducing newcomers to their first jumps, and there’s also a professional boardercross and the Playground run down from the Reichkendlkopf featuring steep turns, little kickers and more. The impressive Nightpark at the bottom of Hinterglemm is made up of easy, medium and pro-lines, loaded with big air kickers and diverse rails that will keep freestylers and their audiences entertained for hours. To say the après ski here is electric would be an understatement! 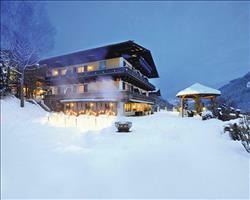 There’s a brilliant array of bars and clubs providing the resort with its buzzing reputation for incredible après. Finish off your day on the slopes at the bottom of the Bernkogel in Bäckstätt Stall with some glühwein amidst stunning mountain scenery. Be sure to make your way to the legendary Hinterhag Alm for a wild party with live music in this lively rustic venue. Bauer’s Skialm will have you dancing in your ski boots into the early hours. Fancy a quieter drink? Mango’s Cuban bar has a more chilled atmosphere to kicking back and relaxing with a beer. Bobby’s Bar’s another popular joint which also screens the big sports games, so football fans won’t miss out either! There is a fantastic selection of restaurants to choose from including fine dining and family friendly cuisine, with venues scattered across the mountains too for lunch on the slopes. Be sure to try some delicious Austrian Goulash by the piste in the Panorama-Alm, or other local specialities like tasty Pinzgau spare ribs at The Bäckstätt Stall. Del Rossi offers tasty pizza and other mixed grill options, while the organic vegan restaurant, Vitrine, is sure to introduce you to something new. For non-skiers there are plenty of indoor and outdoor activities to keep you entertained. You can find a local sports centre in Hinterglemm with a tennis hall and open air ice rink, toboggan runs in Saalbach and Hinterglemm or you can try paragliding. For some indoor action, Bobby’s features a bowling alley, pool, table football and an arcade and cultured folk can check out the Local and Ski Museum. Free guided winter walks across cleared paths are available, or get stuck in and go snowshoeing to the end of the valley for some stunning sights. When is the best time to ski Saalbach? The best time to ski here is usually earlier in the season when the snow is assisted by lower temperatures. The valley is split between north and south facing slopes. The south facing slopes will be sunnier so you can enjoy great snow conditions early-season without freezing your socks off. Late-season still experiences great powder and the north facing slopes receive more shade for improved conditions in the later season. The mountain terrain helps to provide some natural cover and there are over 470 snow cannons to ensure powder on 90% of the slopes all season long. 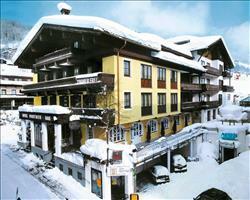 Hotels are available less than minute away from the nearest ski school and other activities in the area. 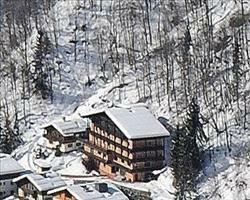 The Alpenhotel is a good example situated centrally right next to the ski school slopes and hardly a minute away from the chairlifts for easy access. 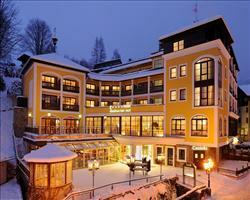 Hotel Central is an alternative close to the Schattberg gondola and just a few minutes from the ski school. Ask us if you need childcare facilities or equipment like high chairs or cots in your accommodation and we’ll sort things out. 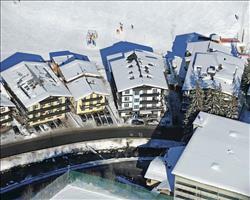 Saalbach promises a great time for families thanks to fantastic facilities for older and younger children. You’ll find a variety of different runs including wide, sunny slopes to enjoy cruising down together. There’s a selection of qualified ski schools which practise on little slopes with magic carpet lifts to help kids learn. Snow Academy uses a fun park with colourful decorations and a mini train encouraging children to have lots of fun learning to ski with English speaking instructors. Family lessons are also available if you want to all learn together. Kids can learn to snowboard too, and the Learn to Ride park is a great chance for older children to try easy lines for freestyle rookies. Towards Leogang you can find two fun wave runs and SkiMovie runs which follow and record you as you fly down the slope. The resort has a highly commended kindergarten/crèche and are serious about providing a fun environment and taking care of young children aged between 3 months to 3 years old. Make sure you book ahead to have your child taken care of for the day, especially if you’re booking during a holiday period. At Bobby’s you can find a bowling alley, arcade games, pool and table football. Go ice skating or give curling a go on the special ice rink in Hinterglemm. Other day trip ideas include an Ice-Karting track nearby and you can even see what it’s like to drive a piste basher! We offer packages which fly from all over the UK at great discounted prices, so you have more cash to spend on the resort. Give us a call and our holiday experts can help you pick the perfect place to stay on your holiday. There are big hotels all over the resort which are ideal for groups – especially if you might expect stragglers wanting to book later. We offer bargain packages in a large choice of luxury hotels which feature their own bars, restaurants and wellness centres to keep everyone happy. Hotel Saalbacher Hof is an amazing choice in the centre for party goers looking to spoil themselves rotten with its own après lounge and Castello nightclub, the largest and first ever nightclub in Saalbach established in 1970! 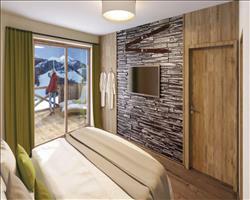 Last minute bookers will want to look for hotels with plenty of rooms for more likely availability, such as the Hotel Panther, just a minute from two of the central lifts for skiing virtually right back to the hotel. Saalbach is an excellent resort for groups looking for somewhere with a range of runs for different skills and a buzzing atmosphere. The terrain is varied and good for groups of mixed abilities. The après is an absolute highlight here with a great selection of fantastic bars and nightclubs. The Austrian’s know how to party – things get going from 3pm at the foot of the slopes. Get excited for a night of fire shots and dancing on the tables in Underbar. For a quiet drink instead there is the Pianobar in the Alpenhotel for a fireside chat backed by smooth piano music. Any non-skiers tagging along can find activities including tobogganing and paragliding. Go showshoeing through the valleys or on a unique winter walk across a bridge suspended in the treetops. Book your holiday with us for the best group discounts on a trip to remember. Keep things simple and call us to find out what group savings our travel experts can offer you. 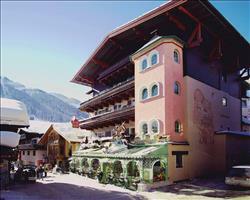 "Better priced alternative to St Anton"
I enjoyed Saalbach, it’s a very good resort. We had very good conditions at the end of January and there were a few days with good drops of snow while we were here. The pistes are all good and easy to navigate, nothing was too crowded and the lift system is very good indeed. It’s not a bad place for learning skiers and intermediate skiers, I was with someone who was more intermediate, so I didn’t get to do much advanced skiing, but it’s there if you want it. In the area itself, there are more wider runs than tree runs and it’s definitely more pisted than unpisted. We went to a few bars and restaurants which weren’t too bad at all, everything is definitely cheaper than you get in St Anton for example (I definitely prefer Saalbach over St Anton). "Not a huge ski area but a beautiful resort"
I thought Saalbach was a very good resort. I hadn’t been to Austria before but would really recommend it, the people are very nice and it has a nice friendly atmosphere. We visited at the end of March and it’s not a snow sure resort, but there was enough snow up at the top. It was a bit slushy at first but then we had a lot of snow (with good enough visibility) and after that the last couple of days were superb. There’s not mile upon mile of skiing like you get in the 3 valleys and the size would probably have been an issue if I’d gone in a group of good skiers who would have wanted to go further afield (you could go up to the glacier but it was a pretty long bus ride away). As we were here as a family it was fine and other than it not being a massive ski resort, the lifts and slopes were all good, with lots of variety within the runs. The only issue was that it was impossible to get down without skiing any reds, many of which were mogully at the end of the day. A few of the reds seemed more like blacks but that often happens (it wasn’t as bad as Val d’Isere where some of the blacks are easier than the blues!). The blue runs seemed to be on a separate part of the resort where getting back would have been a problem. The ski passes here were the dearest I’ve ever some across because they’d spent a lot on infrastructure but other than the passes, everything seemed to be well priced; the kids bought some ski gloves and goggles for less than they’d have paid in the UK. It’s a beautiful resort, you get some French resorts (like Flaine) that look more like prison blocks but Saalbach and Hinterglemm are really nice villages with lovely buildings. There are a few things to do aside from skiing, the girls had a day off skiing one day and did some shopping. The après ski had finished as we were there right at the end of the season, but we were quite happy to relax and chill. The resort itself is very good and the main thing we liked was all the skiing that was possible. As a group we tend to go out after skiing and have a few drinks but we didn’t find as many lively bars as you usually get in Austria. There were still places that were lively enough (one of the bars at the bottom of the hill had its own ten pin bowling which was a laugh). "Amazing lifts & snowmaking, short transfer"
Saalbach is a great resort; it’s not a very long transfer, only an hour and a bit from Salzburg. They spent so much money on snowmaking and the lifts are amazing – really state of the art. 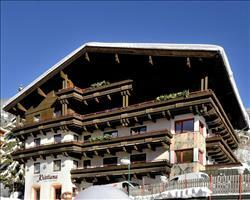 Saalbach is a beautiful Austrian resort with plenty of village charm and beauty. The ski area (along with Hinterglemm) is very vast and all skiers/snowboarders can find great runs to enjoy. There are various fun après ski spots all over Saalbach including some outdoor pubs/bars (with outdoor heaters to keep you warm). 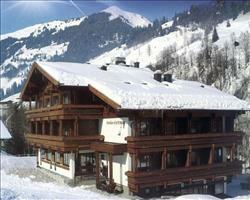 I like Saalbach and have skied here before, the lifts are quite good and the area is excellent for intermediate skiers. You don’t get ski in / out accommodation in Saalbach and have to walk to the lifts wherever you stay, but you rarely have to walk too far. "Quiet pistes and a quiet town"
The skiing was fabulous, you can ski over to Hinterglemm. Our friends were staying over there so we could meet up with them. 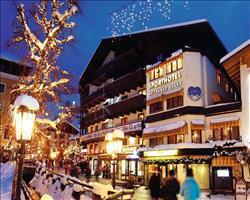 The town of Saalbach isn’t huge and there’s not an awful lot to do there other than skiing. . I think there is an indoor swimming pool in Saalbach and on the main high street there are a couple of supermarkets. There is an amazing outdoor pub which has live music, it’s by the children’s nursery slopes and the snow park. The weather wasn’t very good while we were there, the conditions were slushy and it was so foggy we couldn’t really see. My husband didn’t enjoy the skiing because of that Although the town was quiet and I missed the selection of bars/restaurants that we had the year before in Mayrhofen, I did really like the fact that we didn’t have to queue and that the pistes were quiet. Our first holiday in Saalbach and we’d go back; the slopes are very wide and ski friendly and the entertainment in resort is reasonable. We had sunshine all week. It was busy but it was half term week so we were expecting it to be. There was no snow in the town (2nd week in March) so you had to get up a bit for the runs... they cut up really badly because they were using snowmaking so there were quite a lot of mogul-y bits, which made it hard on your skis. We were here as a group and Saalbach does have a few nightclubs, if you want, you can get taxis over to Hinterglemm as the two are connected. "Great snowboarding, intermediate skiing & apres ski"
Great for an Austrian stew and for intermediate skiers and snowboarders. I do remember awesome little jumps to get early intermediates feeling invincible. Relterkogelbahn gondola followed by the Hasenauer chair lift for a blue and green descent for beginners. The long black run from 1 of the resort’s highest points, Schattberg Ost 2020m, and its surrounding off piste is for advanced skiers. Ski cross runs, snow fun parks and night skiing to keep you entertained on the slopes morning ‘til night. Not a very high resort so it’d probably be a better idea to visit during the peak winter season for snow sure conditions. Great night life!